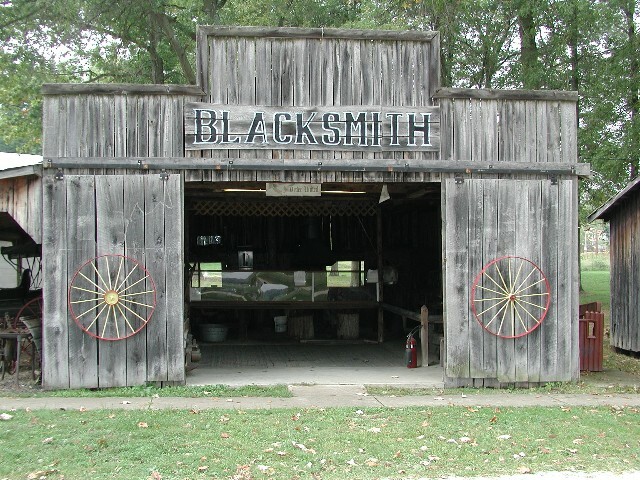 An fully operational Blacksmith Shop has been re-constructed on the farm museum grounds. While the fire in the forge is not always kept burning, we are fortunate on occasions to have skilled blacksmiths demonstrate their trade. 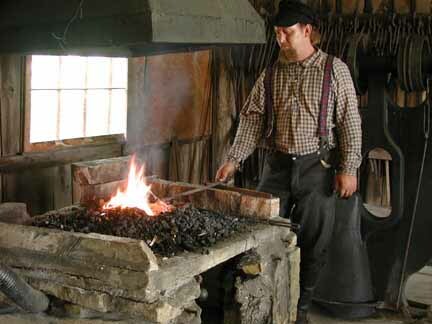 The blacksmith shop contains hundreds of tools including the collection of tongs seen behind the re-enactor. One such person recently made the museum a beautiful tripod kettle stand.